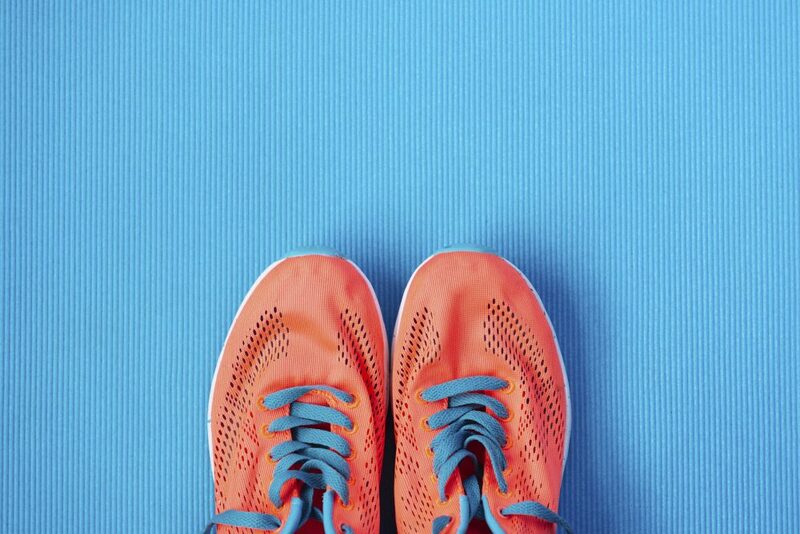 In this guest blog for our series Evidence for Everyday Allied Health (#EEAHP), Anna Lowe, Chartered Physiotherapist and Senior Lecturer at Sheffield Hallam University, looks at the importance of promoting physical activity and how AHPs can contribute to re-shaping the physical activity culture of the NHS. It seems to be the summer of physical activity! With the football, Wimbledon, Tour de France and the Olympics there’s plenty of inspiration around. It’s also #movemovemonth in my home city of Sheffield! This provides a useful, albeit aspirational, framework for AHP practice. The Department of Health’s (2012) report on The NHS’s role in the public’s health states that every healthcare professional should see every contact as an opportunity to improve health and wellbeing whatever their specialty and whatever the purpose of the contact6. The new Making Every Contact Count (MECC) consensus statement and supporting documents are valuable resources for AHP teams7. The addition of a MECC clause into the standard NHS contract 2016/17 may reduce some of the cultural barriers to change, with a health-promoting approach being increasingly expected and valued by those commissioning services. 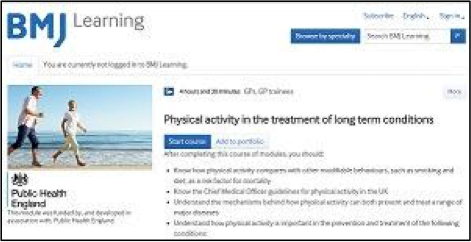 These free, online modules are aimed at healthcare professionals and have modules on how physical activity can be used to manage a number of long term conditions. 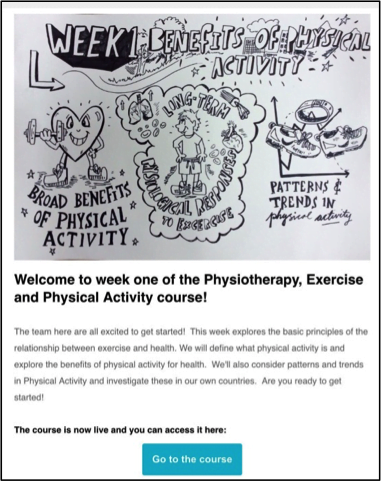 This course is appropriate for all AHPs, it runs for 6 weeks over the summer and is a free, online, global learning experience on physical activity. Last year Simon Stevens told us …. QS84 recommends that NHS organizations should have programmes to encourage and support employees to be more physically active. The expectation is that this would lead to an increase in physically active employees and a reduction in the number of days sick leave employees take each year. This is underpinned by evidence that physical activity programmes at work have been found to reduce absenteeism by up to 20%. A 20% reduction in NHS sickness and absence rates per year would save, in terms of productivity not lost, £381 million a year nationally. There is also compelling evidence that active healthcare professionals promote more physical activity to their patients11. This summer’s #WeActiveChallenge is a workforce physical activity challenge; groups of nurses, midwives, health visitors, AHPs, doctors, pharmacists, paramedics, finance professionals and commissioners will go head to head to see who can be the most active…there are even chirp medals at stake!12 With over 100,000 combined followers the #WeActiveChallenge is a great way to encourage the workforce to become more active and to get everyone talking about physical activity with their patients and colleagues. Physical inactivity has gone from being a light weight consideration to being recognized as one of the key, modifiable risk factors for disability and early death. As AHPs we are so well positioned to contribute to the system-wide approach required to bring about change. Promoting physical activity is everyone’s business and NICE guidance gives us clear guidance that is both evidence-based and user-friendly. 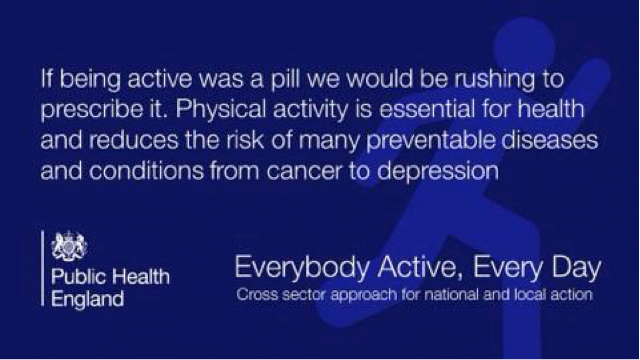 I hope AHPs will continue to push this agenda forwards and re-shape the physical activity culture of the NHS. 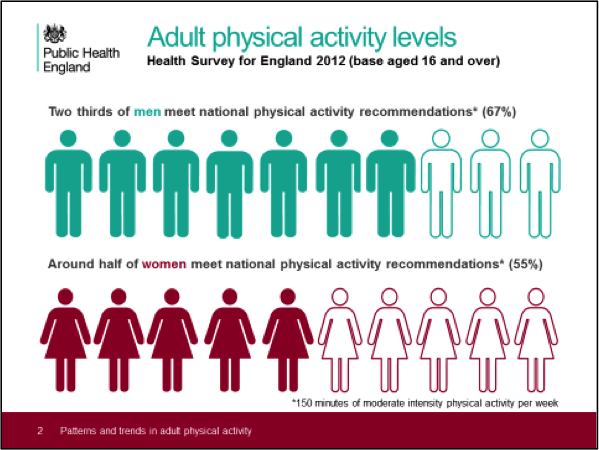 AHPs and physical activity: a force for change by Anna Lowe is licensed under a Creative Commons Attribution-NoDerivatives 4.0 International License. 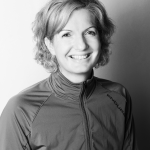 Anna Lowe @annalowephysio Anna is a Chartered Physiotherapist with a clinical background in musculoskeletal practice. Having worked for a number of years in the NHS and the private sector Anna now works as a Senior Lecturer at Sheffield Hallam University. Anna is passionate about developing the role of AHPs in public health. She has a particular interest in the role of AHPs in facilitating physical activity behaviour change.